The WorkNC CAD license supports the manipulation of CAD data while reducing or eliminating data-management challenges between design and your shop floor. 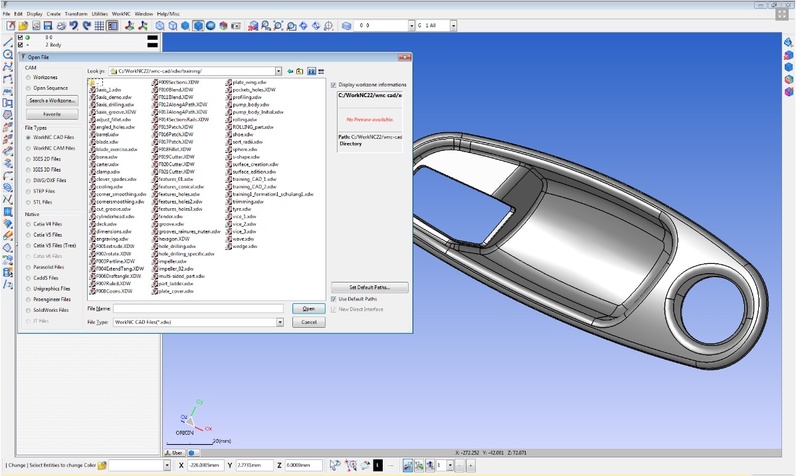 WorkNC includes popular neutral file formats such as Parasolid, SOLIDWORKS®, VISI, IGES, STEP and STL. Continuously developed to provide an optimal level of performance and reliability, WorkNC’s direct translators can be used to open a wide variety of native CAD files.